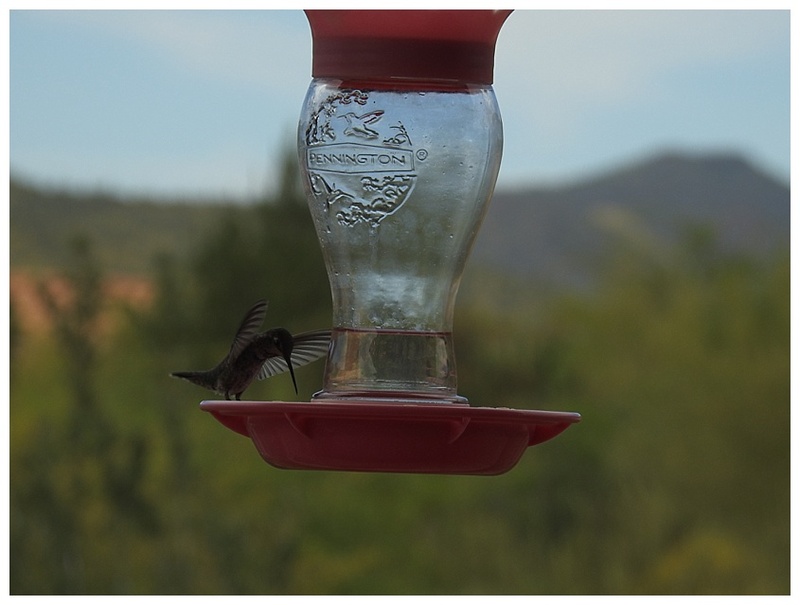 Last week while visiting family in Black Canyon, Arizona I had several hours with no plan. It was spring break for my daughters, and this sort of time of “nothing” was exactly what I needed. As the girls napped following a wild Jeep ride with their grandpa (as teenagers they nap—why didn’t this happen so easily when they were little? ), I spent time just soaking up my surroundings. The home we stayed at had a wrap around deck that over-looked the Sonoran Desert. 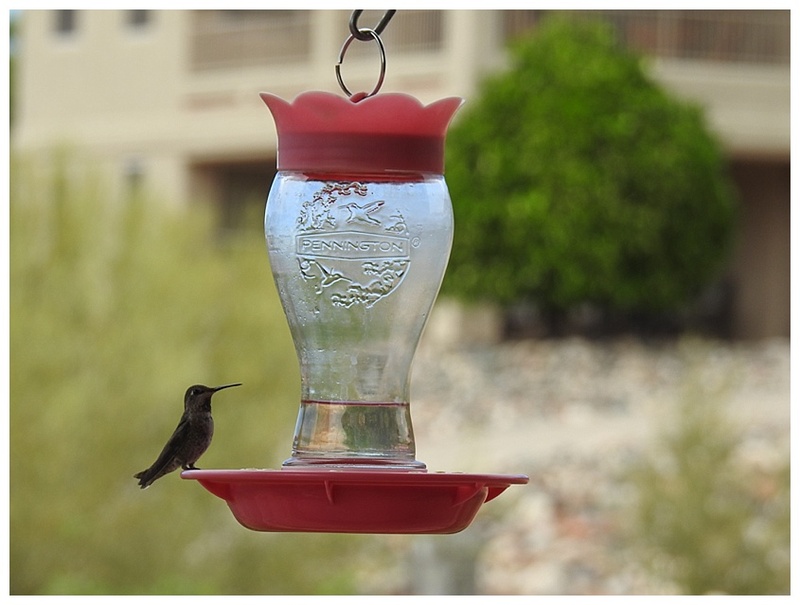 Noticing that hummingbirds (one of my absolute favorite creatures) were repeatedly visiting their feeders I decided to head outside with a camera to observe them more closely. These sweets-loving, fast flyers were quite shy, but patience paid off—letting myself have no expectations but to watch and enjoy their show. 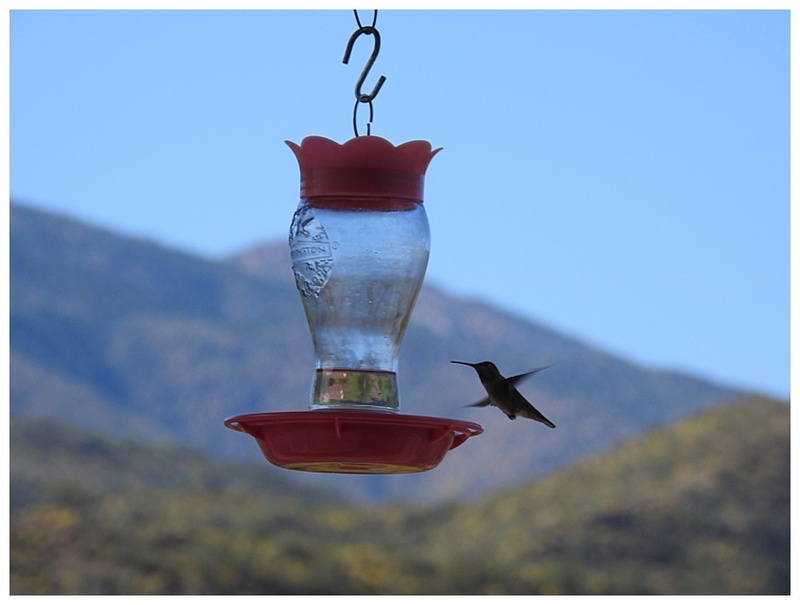 Several years ago, while watching another hummingbird in my back garden, the thought streamed through me ~ “keep putting your nose in flower after flower” ~ wise advice that I was reminded of on this lovely spring afternoon in Arizona.